It&apos;s a bumper crop of things to do this Friday, Saturday and Sunday in Montgomery County. 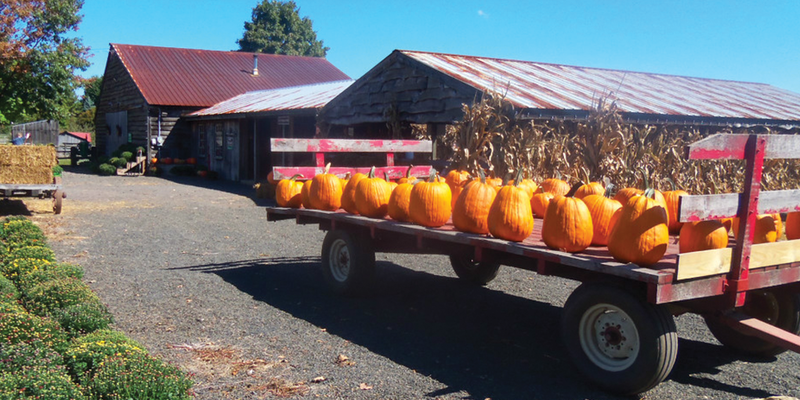 Enjoy our recommendations, which include two new restaurants to try and eight local farms to visit for hayrides, corn mazes and seasonal produce that includes pumpkins. 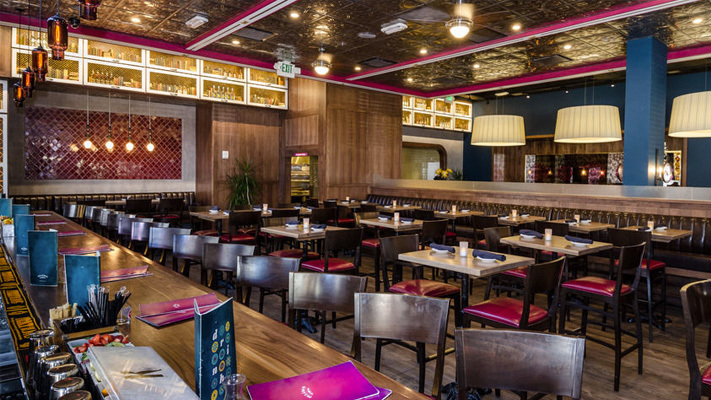 Paladar, which specializes in the flavors of Central and South America, Cuba and the Latin Caribbean, opens its first Pennsylvania location, amid the attractive setting of the King of Prussia Town Center. The menu has some familiar favorites like tacos and empanadas. But there are some bold choices available, too: Cuba&apos;s Ropa Vieja; Brazil&apos;s Feijoada Stew; Mexico&apos;s Pork al Pastor, for example. It&apos;s closing weekend for this family-centric rock musical being presented by Playcrafters of Skippack, which won a 2012 Pulitzer Prize for drama. 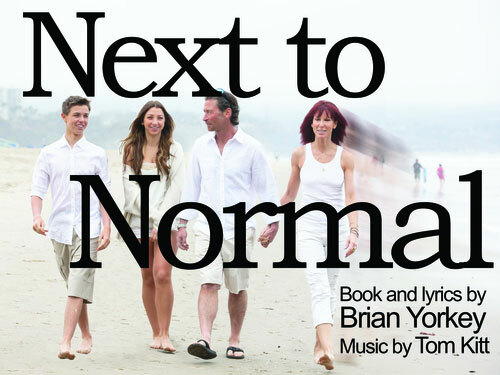 It&apos;s the tale of an on-the-go clan (and, in a stroke of art-meets-life, the cast is primarily made up of members of one family) trying to keep things together while helping their bipolar mother. The original Broadway production ran nearly 800 performances. More than 30 locally crafted scarecrows are on display in the Morris Arboretum&apos;s Oak Allée, ready for the public to judge the best. The theme this year is "Sense of Adventure," inspiring a bumper crop of creativity to turn ordinary straw, burlap and twine into something magical. 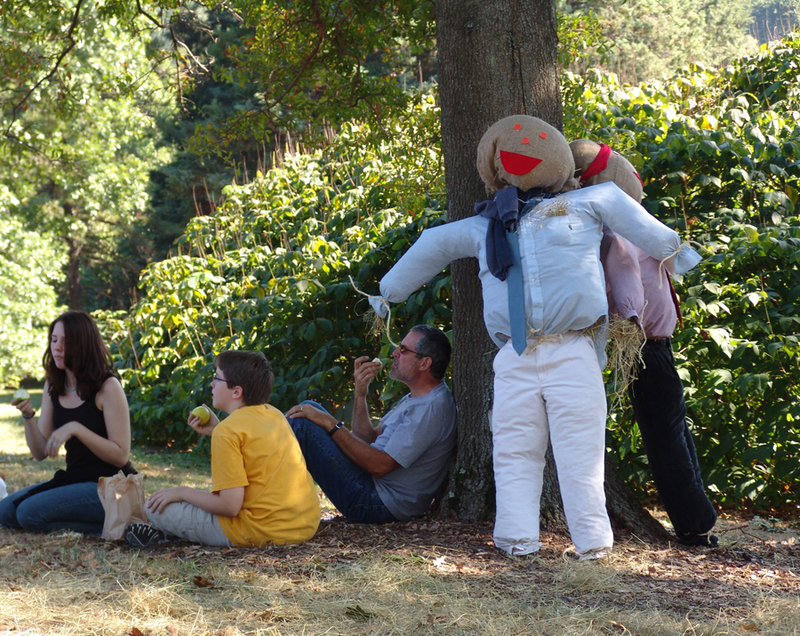 Running concurrently with the scarecrow program is the arboretum&apos;s annual fall festival. 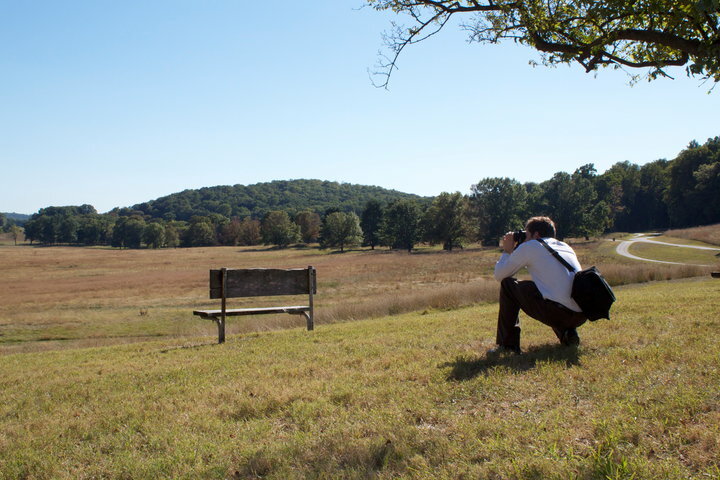 Take a photographic look at the history and beauty of Valley Forge National Historical Park. Join Ranger Jeff and Ranger Beth each Saturday and explore the history and the art that is Valley Forge. Photographers of all skill levels are welcome to attend and participants are encouraged to bring their photography device of choice (camera, tablet, cell phone, etc). 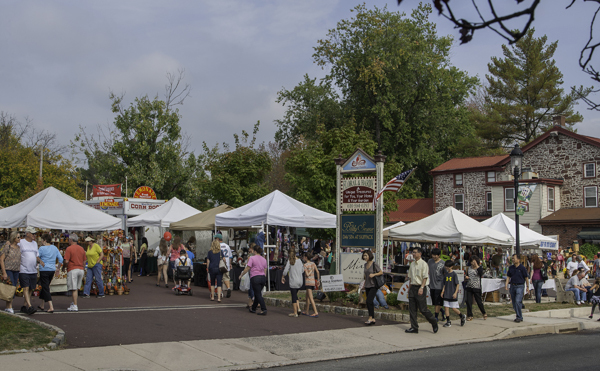 People come to Skippack Village for these two days of festivities to walk beneath canopies of golden foliage, to browse one-of-a-kind jewelry and accessories, to see handmade arrangements of dried flowers and breathe in the scent of crafted candles. But all that aside, people come to eat, which, given Skippack&apos;s reputation for dining excellence, is a perfectly good reason to stop by. Kick off October with some ghoulish fun at a two-day expo of things that go bump in the night. 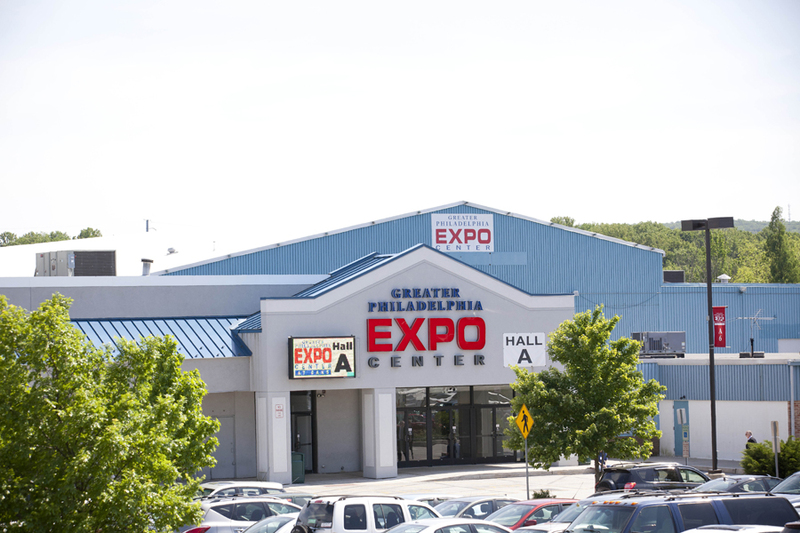 The program includes panel discussions, events, games, merchandise and fan-centric fun at the Greater Philadelphia Expo Center. Anyone with a brain (...brains... BRAINS!!) will recognize this as a not-to-be-missed event. More than six acres of plump pumpkins (plumpkins?) are available for browsing, ensuring that visitors can find one that fits their jack o&apos;lantern profile perfectly. The other big draw at Varner Farms is the corn maze, five acres of challenging twists and turns. It&apos;s hard to notice while navigating its blind alleys, but from above, the architected rows form a giant barrel racer. Freddy Hill Farms has been ferrying kids of all ages to its pumpkin patch for a quarter-century. The family-fun center also offers a giant slide, pony rides and plenty of food - from ice cream to funnel cake. On the more off-beat side is a series of piglet races. Once the perfect pumpkin has been picked from the patch, Northern Star Farm has enough to make a whole autumnal day out of a visit. Two mazes that cover 14 acres are available for exploring. 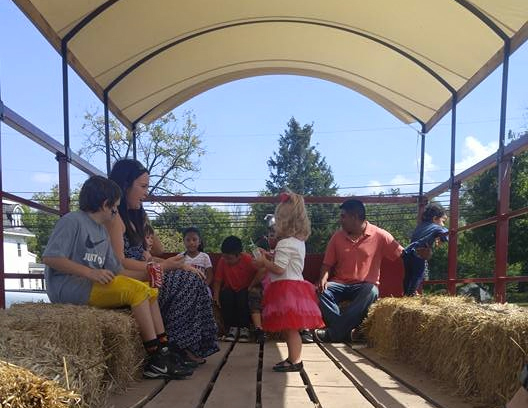 And small fall fans will love the play barn, where they can practice milking a cow, drive a small pedal-tractor and climb through a giant hay fort. Adults decorating for the season can access all the essentials at Maple Acres Farm: corn stalks, hay bales, Indian corn, gourds and mums. Kids interested in carving (or painting) goofy or scary faces on pumpkins will have an abundance of options as well. Two audiences. One fun stop. 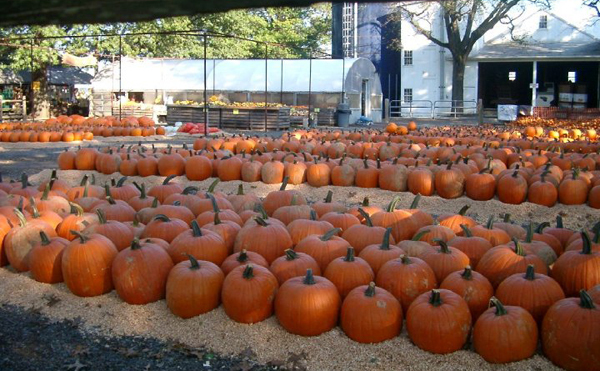 The crop of pumpkins at Merrymead Farm offers multiple shades of orange, of course. But for kids looking for something a little different, the farmers here are also producing the unusual white varieties, perfect for a ghostly scowl or a skeleton grin. Tucked amid the animal pens are a number of large-scale decorations, including a giant "Great Pumpkin" on the front lawn that is lit nightly. Helpers at R&J Farm Market will not only help kids select a gorgeous gourd, they&apos;ll help them decorate it as well. The market also has a terrific maze, sculpted to create a giant shark. 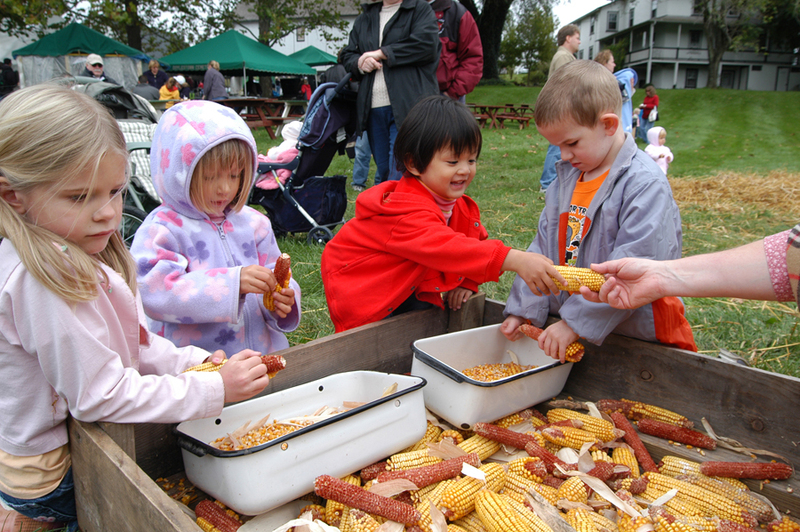 Kids can also dig in the corn crib, which they will surely find a-"maize"-ing. 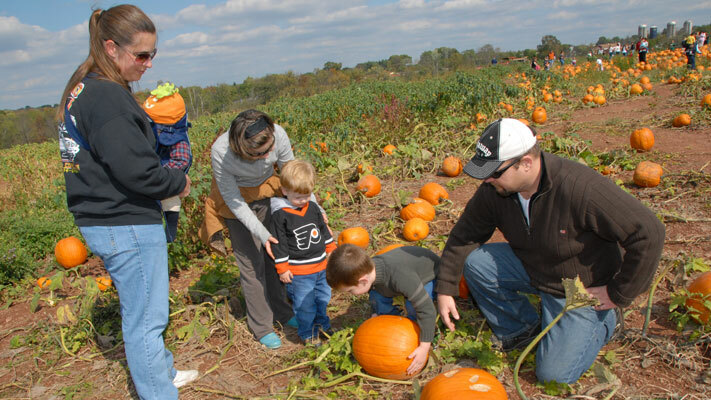 There are plenty of pumpkins to pick, grown in the open-air beauty of the western edges of Montgomery County. Bigger kids will want to tackle the corn maze at Wilcox Farms; at an impressive 25 acres, it&apos;s the largest in the entire region, with trails that wind for eight miles! Smaller explorers can opt for scaled-down versions, one made of hay bales, the other in the shape of a cartoonish monkey. Considering the name of this farm (Abby&apos;s Pumpkin Farm), it&apos;s hard to imagine not walking away with a beauty. The onsite corn maze has been especially designed for the little ones; it&apos;s challenging but not frustratingly so, decorated in a spiders and bats theme. Regardless of your political leanings, the aftermath of the first Presidential debate may leave you seeking a laugh to counter the current wax and wane of Washington wannabees. 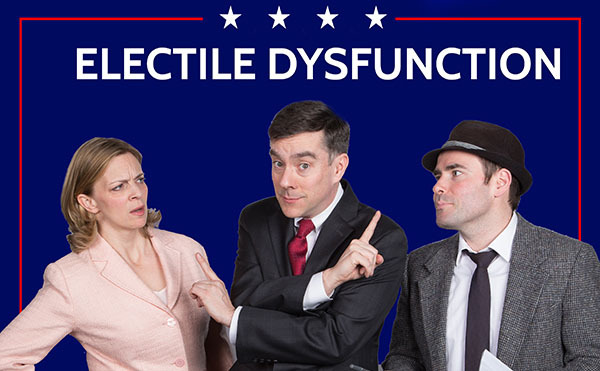 Act II Playhouse can meet that need with its night of satire and song. It&apos;s a landslide victory for voters. Walk the scenic pathways of Chaddsford Winery from station to station, just like you did as kid collecting candy. But this time, it&apos;s more about merlot than Mars bars. These expert vintners have paired their fragrant potables with seasonal food to make for a unique seasonal treat. As an added gift, attendees leave with a themed wineglass. If you miss this installment, know that they continue each weekend for the rest of the month. Local singer Laura Cheadle is only one of the stellar performances onstage at this first-ever afternoon of music and art on the Abington campus of Penn State. Other standout bands will riff in the style of Cuban jazz and the steelpan sounds of Trinidad and Tobago. More than 30 artisans display their creations, and a fleet of food trucks keeps everyone&apos;s palates satisfied. An expertly crafted Middle Eastern menu awaits guests when Halal Guys, a New York City institution, comes to the Valley Forge Shopping Center. The first 100 hungry patrons receive a free entrée platter of their choice. The first 200 get a free t-shirt. Halal is not only quick-service; through a connection with Zuppler, customers can have their gyro sandwiches, chicken-and-rice platters and white sauce delivered to home. Early October gets people&apos;s creative juices flowing, resulting in prime time for craft fairs. The good news for the public is the chance to wander by interesting and engaging merchandise - things not for sale at the average big-box retailer - and pick up a treasure or two. 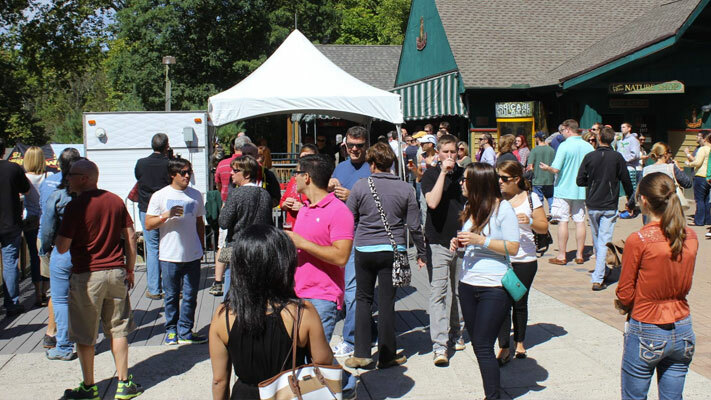 This event is Elmwood Park Zoo&apos;s first ever flea market/craft fare, but if their past success at events is any indication, it is sure to become an annual favorite. This popular autumn festival, hosted by the Mennonite Heritage Center, has been enjoyed by the local community for over 40 years. 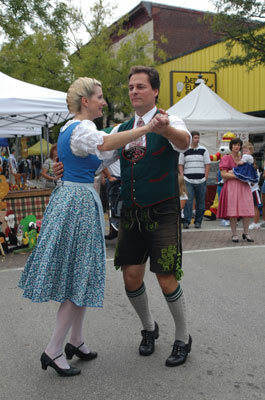 The frolic is an opportunity to learn how Mennonites and their neighbors lived 100 or more years ago. It&apos;s also a chance to dive into the culinary magic of a pancake and apple sausage breakfast, an apple-baking content and demonstrations from gramma&apos;s kitchen. More than 90 vendors and 10 food trucks will set up shop on Butler Avenue, basking in the autumn sunshine and cool breezes. This party - thrown by Ambler Main Street - includes kids&apos; rides, a beer garden, two stages&apos; worth of musical performances and plenty of arts-and-crafts merchandise. Doggone, this is a good time! Celebrate man&apos;s best friend (and women&apos;s) at Upper Merion Farmer&apos;s Market on West Valley Forge Road in King of Prussia. 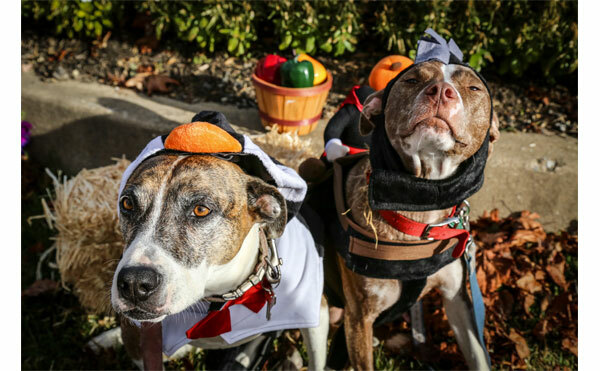 Leashed dogs are welcome for treat and food samples, a costume contest and plenty of canine games. Rescue organizations will be on hand, providing information (and perhaps a sloppy kiss or two). Attendees are asked to bring donations of "gently used" shoes. 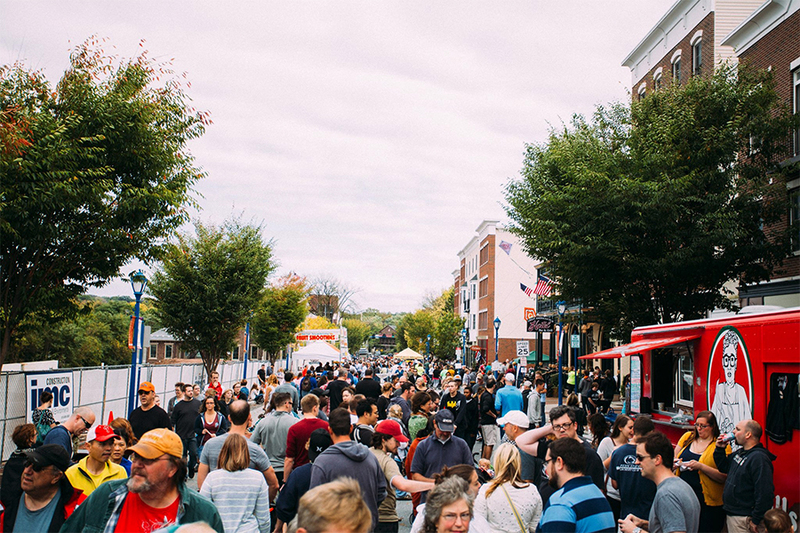 More than 30 food trucks - offering culinary adventures from waffles to falafel - line the picturesque streets of Phoenixville for one taste bud-tempting afternoon. Live music and the beautiful fall weather are plusses. The campus of St. Eleanor Church is transformed into a kid-centric jubilee that&apos;s free. Games, music, prizes, magic, pie-eating contests, giveaways, food trucks and the chance to bask in the beautiful autumn sun are all part of the party. 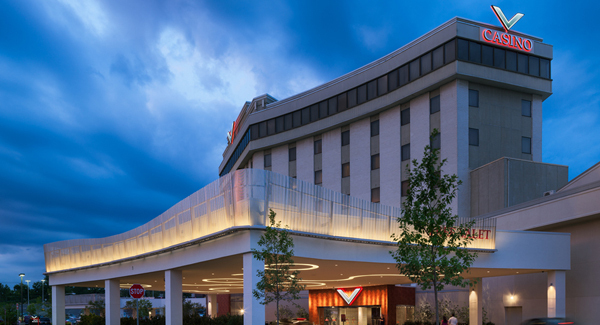 For a mere $10 investment at the door, brides-to-be can walk away from this show at Valley Forge Casino Resort with a swag-bag and a chance to win more than 40 valuable giveaways, including a seven-day cruise. That&apos;s on top of the helpful advice, useful information and displays of goods and services from the area&apos;s bridal experts. Start the Halloween season off with a scary cinematic treat starring the legendary Vincent Price. He plays hammy Shakespearean actor Edward Lionheart who, after years of critical failure, decides to exit not only from the stage but also from life. Although thought dead, Lionheart is alive and well and plotting revenge. 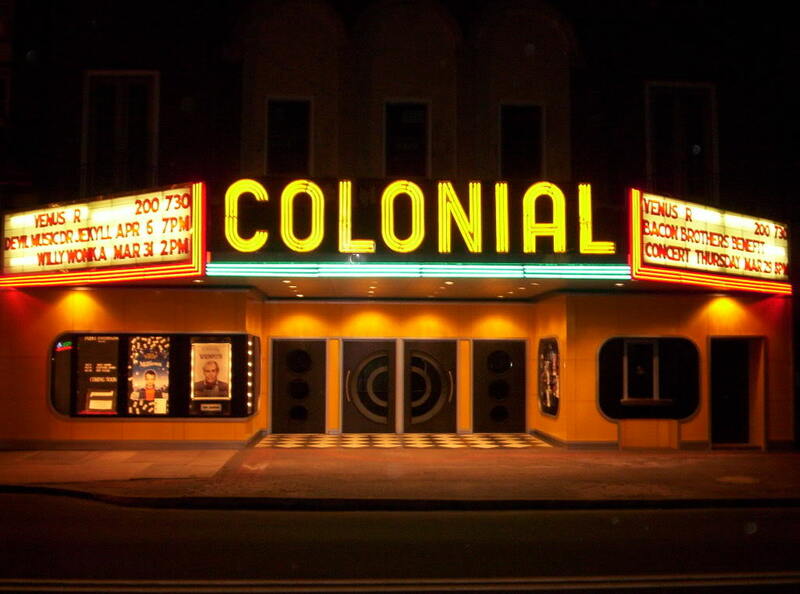 This sinister screamer - and its vintage special effects - is only one of a series of horror classics screened at The Colonial Theatre. Fall weekends are great opportunities to schedule a mini-vacation. A little leaf-peeping. A little festival-going. A little pumpkin- or apple-picking. Make it a five-star getaway by staying in one of our nearby hotels.